Perpetrators of the violence in ongoing protests in Paris will be punished, said French president Saturday. Speaking during a press conference of the G20 summit in Buenos Aires, Emmanuel Macron said that those who are responsible for the attack on police officers and vandalization of a monument in the capital will be "held responsible for their acts". "What happened in Paris today has nothing to do with the pacific expression of legitimate anger," he added. Thousands of "yellow vest" protesters have gathered in Paris for the last two weeks to protest Macron's controversial fuel tax. During Saturday's protests, the yellow vests entered the famous Champs-Elysées Street throwing stones and bottles at the police and setting public property ablaze. The president said he would not accept violence and was ready to negotiate legitimate demands from the protesters. 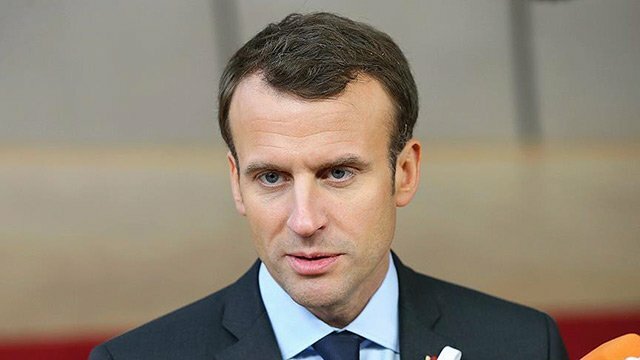 On the meeting with Saudi Crown Prince Mohammed bin Salman, Macron said he told him "we all want to reveal details of Khashoggi murder". Khashoggi, a Saudi journalist working for The Washington Post, was killed shortly after he entered the Saudi Consulate in Istanbul on Oct. 2. Last week, France imposed a travel ban on 18 Saudi citizens over their suspected involvement in the killing of Khashoggi.